Tzolkin Date: 11 Chicchan. Ruler is Red. Blocker is Green. Gatekeeper is Earth. 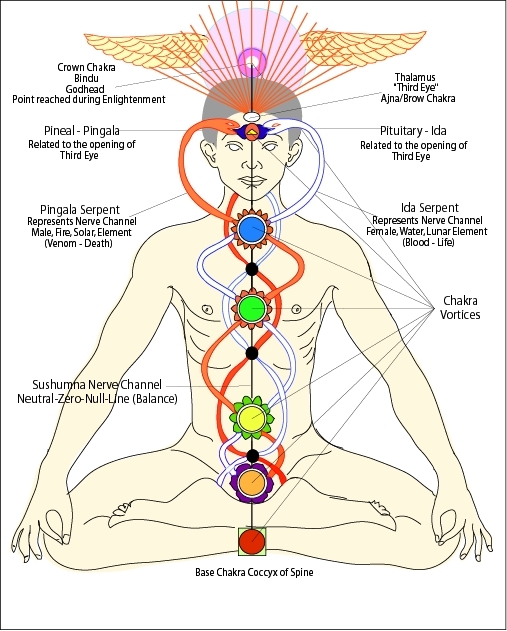 The force or energy that rises up from the Earth through the Chakras, the body’s energy vortexes, is known as the Kundalini. This life force energy, as it twists and rises around the body’s central column, is often portrayed as two serpents, intertwined. From this image, it is said, the symbol of healing, the Caduceus arises. This is primal creative energy and is strongly connected with spiritual and sexual activity and creativite activity in general. 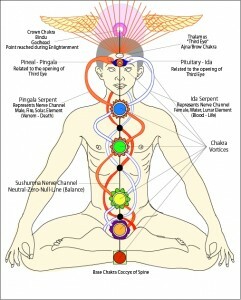 When the kundalini rises all the way to the top of the system and through the head, we have the classic Enlightenment experience…..thanks to this “serpent” energy. It is able to rise through all the chakras due to a student’s preparations and purifications and disciplined spiritual practices. It can halt at a chakra –become congested and unable to rise–when a person has “issues” related to any particular chakra. 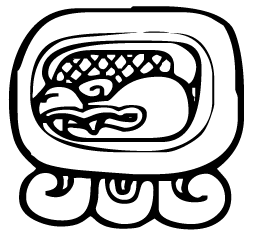 Throughout the world, different traditions associate the serpent with creative energy and sexuality. The Judeo-Christian “take” on this is the Bible story in Genesis. It’s the serpent, after all, who tempted Adam and Eve in the Garden of Eden to eat of the Fruit of the Knowledge of Good and Evil. The first thing that happened was that they became sexually self-conscious (knowledgeable) when they “discovered” their nakedness and covered themselves. Sexuality, the most basic of creative activities, is, of course, not evil. But it is a potent activity that can cause all manner of difficulties if it is not respected for its potency and handled accordingly. Artists—creative people–are always pushing the envelope of what is and is not acceptable in terms of a cultures ethics and customs. And very creative artists and creative persons work with a passion that in some sense they can not contain. They feel compelled to express themselves. I like to think that much of this comes through their association with the Earth spirit…energy that comes from the bottom up rather than the top down. Whatever the case, Chicchan speaks of our creativity….so go out a do something creative today! This entry was posted in Uncategorized, Wellness and Spirituality and tagged creative energy, Grandmother Parisha, kundalini, Maya Angelou, Pa'Ris'Ha, Spirituality, WellnessAndSpirituality.net. Bookmark the permalink.